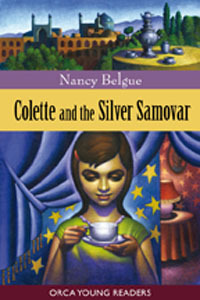 Biography: Nancy Belgue is the author of five books for children. She was a winner of the the Toronto Sun's column-writing contest in 2001 and was shortlisted for the CBC Literary Awards, Creative Nonfiction in 2007. Her writing has appeared in magazines in both Canada and the United States. In addition to speaking to children as a visiting author, Nancy has worked as a literary/drama artist with the Learning Through The Arts program and has acted in television commercials, training videos and documentaries. She is the Managing Editor of OUR HOMES (Windsor & Essex County) and also works part-time as a library assistant in Kingsville, Ontario. Casey needs a lot of money fast, but will she be able to overcome her fear to win it? You don't have to believe a prophecy for it to come true.